Some of the changes don't appear as positive. A lot of people seem a little "disorientated" these days. It feels as though something has changed and continues to change, yet no one seems quite able to define what the "something" is; at least not to my satisfaction anyway! I love change. I like the disruption factor. I'm pretty comfortable in chaos, perhaps even thrive there. But even I, a "change lover", am feeling a bit unsettled with the degree of shifting that seems to be happening. Perhaps it is because I can feel the change and yet I can't really name it. It is just everywhere. And it turns up in the oddest of places- like conferences! 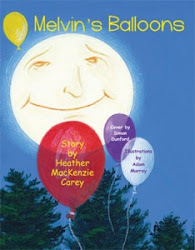 In our efforts to find our homeostasis http://pixiedusthealing.blogspot.ca/2012/09/fall-equinox-moment-of-balance.html in this constant change, we are perhaps feeling pretty uncomfortable. Some people describe emotional floods of anger and "tears for no reason". Other people have mentioned physical discomfort such as headaches, sinus pressure, aches and pains, unexplained fevers. Some people are feeling more "connected to the beyond" in pleasant but also sometimes frightening ways. Intuition seems to be opening up for everyone. Many of the Bach Flower essences can be described by one word or short phrases. The word "change" has a direct connection to the Bach Flower Walnut. Walnut is indicated when you are feeling uncomfortable with change and outside influences. Walnut can help you adjust and protect yourself from change. I've written a lot about Walnut. In my world at least, it comes up a lot and ia a pretty helpful essence to have around. 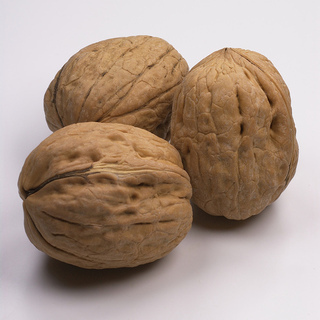 For more posts on Walnut you can type "walnut" in the search menu at the top of my blog and you'll get a number of posts that might be helpful for your particular circumstances. 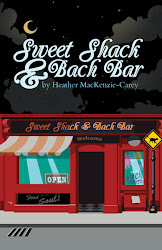 In Sweet Shack & Bach Bar, http://www.brylerpublications.com/books/fiction/sweet-shack-and-bach-bar Wise Woman gave Violet Walnut. It resonates with the 6th Chakra, that source of intuition. When we start to listen to our intuition and feel it exerting it's 20% on us, we begin to feel 80% different. Sometimes that kind degree of change is a bit disorientating, even if it's a good thing. Walnut can help soothe the transition. I also wrote about the High Heart Chakra before and how Walnut may be particularly helpful with imbalances in this Chakra. http://pixiedusthealing.blogspot.ca/2011/11/8th-chakra-thymus-bach-flowers.html The High Heart Chakra is connected to the Thymus and that organ is involved in immunity. Perhaps that's not a coincidence. Maybe when your intuition is acute and you are sensing changes in your self and the universe, your 8th Chakra starts to do some re-balancing as well. And maybe, when that occurs, your physical body is affected by your spiritual changes and you experience immune problems. Sinus infections, colds, and influenza, high temperatures, and strange physical symptoms may be just part of the need to physically adjust to changing internal conditions. Maybe the change is within and that's why we can't attach it to "something". Maybe the change isn't "something" as much as it is "everything". It's a shifting internal alignment that we are feeling as we adjust to a more open awareness. If the changes are within, then the Bach Flower Walnut may be particularly helpful. That's the way Bach essences work. They help you help yourself. By balancing yourself internally your body can function in amazing ways to adjust, realign and re-balance you right back to health and happiness. Interestingly, Walnut is one of the Bach Flower essences that scares a lot of people. They think of nut allergies, and worry about hives and rashes and difficulty breathing if they took this essence. Bach Flowers are vibrational medicine. They don't contain particles of the plant that could cause those types of reactions. If you want more information on this, go to my website www.pixiedusthealing.com and download the free FAQ about Bach Flowers. Once the 20% change starts, you can't really stop it. You can fight against it. You can worry about it. You can regret it. You can make yourself sick over it. But you won't actually stop it. So it might just help to allow it. Walnut might help you stop fighting against the homeostasisis your body is trying to, and can, achieve. 80% is a pretty big change, particularly in the sudden nature of chaos. A little bit of Walnut might go a long way to providing peace during the transition. I don't think that's Rocket Science. I think that's just a good idea.